Here's an update on my recent post about Islamic attempts to impose theocratic obscurantism on the educational system, and especially death threats against people who support Darwin's theory of evolution. 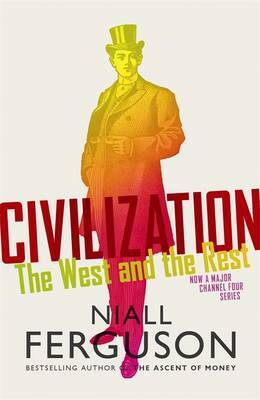 There was an interesting program on Channel 4 by historian Niall Ferguson on the development of science in the West and its demise in the Islamic world. The program (episode two of the series on civilization) mainly concentrated on the period following the Muslim defeat at the Siege of Vienna, contrasting the secularising and technological progressive policies of European governments typified by Frederick the Great of Prussia, with the degenerate, corrupt and religiously reactionary state of the Ottoman Empire. However, what seemed to be missing from the program was a sense of the theological underpinning and historical depth of the Islamic aversion to rationalism. The origins of Islam's problem with science go back long before the Ottoman's imperial overstretch was brought to an end by Jan Sobieski' s artillery bombardments and cavalry charges outside the Gates of Vienna in 1683. "There was worse to come. It was bad enough for Muslims to feel poor and weak after centuries of being rich and strong, to lose the position of leadership that they had come to regard as their right, and to be reduced to the role of followers of the West. But the twentieth century, particularly the second half, brought further humiliation—the awareness that they were no longer even the first among followers but were falling back in a lengthening line of eager and more successful Westernizers, notably in East Asia. The rise of Japan had been an encouragement but also a reproach. The later rise of other Asian economic powers brought only reproach. The proud heirs of ancient civilizations had gotten used to hiring Western firms to carry out tasks of which their own contractors and technicians were apparently incapable. Now Middle Eastern rulers and businessmen found themselves inviting contractors and technicians from Korea—only recently emerged from Japanese colonial rule—to perform these tasks. Following is bad enough; limping in the rear is far worse. By all the standards that matter in the modern world—economic development and job creation, literacy, educational and scientific achievement, political freedom and respect for human rights—what was once a mighty civilization has indeed fallen low. " One reason put forward for the backwardness of the Islamic world is genetic damage, and consequent low intelligence, caused by successive generations of cousin marriage. Marriage between close relatives is the norm among Muslims, but regarded as taboo, pathological, and sometimes illegal in most other cultures. "Nicolai Sennels is a Danish psychologist who has done extensive research into a little-known problem in the Muslim world: the disastrous results of Muslim inbreeding brought about by the marriage of first-cousins. The numbers are equally devastating in other important Muslim countries: 67% in Saudi Arabia , 64% in Jordan and Kuwait , 63% in Sudan , 60% in Iraq , and 54% in the United Arab Emirates and Qatar. ...Lowered intellectual capacity is another devastating consequence of Muslim marriage patterns. According to Sennels, research shows that children of consanguineous marriages lose 10-16 points off their IQ and that social abilities develop much slower in inbred babies. It's true that early Islamic culture had some scientific successes (though these are sometimes exaggerated). However for that last 800 years, Islamic culture has been stagnant. The full appalling extent of the problem is revealed by the fact that Muslims, who are twenty per cent of the world's population, have only produced six Nobel prizewinners, whereas the Jews who are a mere 0.2% have produced about 160 prizewinners! Similarly, the program stated that tiny Israel had registered over a hundred times more patents a year than Iran. Ferguson drew a striking parallel to Israel, surrounded by hordes of hostile Muslims, and the city of Vienna besieged by the Ottomans. Both are outposts of western civilisation threatened with extermination by more numerous primitive adversaries, and relying on superior brainpower and technology to stay in existence. But can Islamic backwardness be put down solely or even mainly to genetic deterioration caused by Islamic marriage customs? Although Muslims who don't marry blood relatives may be a minority, the vast size of the Muslim population should ensure that there are still plenty of people around who aren't genetically damaged. I would suggest that cultural factors are at least, if not more, important than genetic determinism, in particular the complete rejection of rationalism by Islam in the later Middle Ages. One surprising feature of the Islam vs. Darwin affair was that the orthodox Muslims didn't even attempt to argue with the heretical Darwinist - they just threatened to kill him! At least Christan creationists and Intelligent Design proponents attempt to refute the evolutionists by 'rational' arguments. But this approach just wasn't employed by the theocrats. It was a straightforward case of 'If you disagree with the Koran we'll kill you!" "Any hope of the development of a rational tradition within Islam was dashed with the rise of Caliph Ja'afar al-Mutawakkil (847-861). Prior to al-Mutawakkil's rule, a rationalist philosophy had begun to develop under the Mu'tazilite school of interpretation, which advocated for a created, as opposed to an uncreated, Quran. But Caliph al-Mutawakkil condemned the Mu'tazilite school, which opened the door for the rival Ash'arite interpretation, founded by al-Ash'ari (d. 935), to eventually take preeminence within Sunni Islam - a position of dominance it has retained over the centuries. By 1200 A.D., any hope of recovering a semblance of rational Islamic philosophy was seemingly forever lost. Some of the understandings that exist in our society today of the Imams . . . or even of the concept of God are not particularly compatible with an accountable state and do not allow society to grow and develop in the modern-day sense." Pope Benedict gave a lecture at the University of Regensburg that hinted that Islam might be intrinically irrational and violent. The result was rage and riots throughout the Muslim world. Finally, a leader has spoken about the real, essential differences in the struggle between the West and Islam, as it emanates from a contest within Islam itself over the most important things. With startling—indeed alarming—clarity, Pope Benedict XVI told his audience in Regensburg, Germany, that not only is violence in spreading faith unreasonable and therefore against God, but that a conception of God without reason, or above reason, leads to that very violence. To ensure everyone knew what he was talking about, the pope quoted from a 14th-century Byzantine emperor, Manuel II Paleologus, who was besieged by Islamic forces attempting to conquer Constantinople. The emperor denounced the effort to "spread by the sword the faith he [Mohammed] preached." The pope has raised a very volatile question: Is, in fact, the God of Islam without reason, or above it? Is the Muslim God unreasonable? Is Islam, therefore, based upon a theological deformation? The pope's allusion to the teachings of eleventh-century Islamic philosopher Ibn Hazn—"God is not bound even by his own word"—suggests that possibility. However, it is more than a possibility. It is a core teaching of one of the predominant strains of Islam, if not the predominant strain. Has this always been so? How did such a conception of God develop? Is it still possible to talk about this without threats of murder? Benedict is trying to start a conversation with Islam, and it is the only one really worth having. The pope's remarks require a good deal of explication in the context of Islamic philosophy and theology. They need to be understood within the broader perspective of a struggle that has taken place since Islam's inception over the status of reason and revelation. Benedict has essentially taken sides in the most fundamental debate that has ever been held within the Islamic world, and that is why his words generated such vehemence. According to the pope, making either reason or revelation autonomous leads to a distortion of what each is. Reason raises questions that it cannot answer, and revelation's answers cannot be understood without reason. Divorcing reason from faith, or faith from reason, leads to catastrophe; they must be in partnership. Benedict speaks of dehellenization—meaning the loss of reason, the gift of the Greeks—as one of the West's main problems. Less well-known is the dehellenization that has afflicted Islam—its denigration of and divorce from reason. This took place over an argument, already begun in the seventh and eighth centuries, about the status of reason in relation to God's omnipotence, and decisively affected the character of the Islamic world. The struggle had its roots in a profound disagreement over who God is. The side in this debate most easily recognizable to a Westerner was the Mu'tazilite school, composed of the Muslim rationalist philosophers who fought for the primacy of reason. The Mu'tazilites held that God is not only power; He is also reason. Man's reason is a gift from God, who expects man to use it to come to know Him. The status of reason determines man's relationship to revelation. God, being reason, would not expect man to accept anything contrary to it. Through reason, man is also able to understand God as manifested in His creation. God's laws are the laws of nature, which are also manifested in the Sharia (the divine path). Therefore, the Mu'tazilites held that the statements in the Qur'an must be in accord with reason. This means that the Qur'an, a document revealed in history, is open to interpretation. If this sounds familiar, it should: It reflects the same powerful influence Greek philosophy had upon Islam as it had upon Christianity, and which carried within it the impetus to reconcile reason and revelation. The Mu'tazilite advocacy of reason succeeded to the extent that the teaching of a created Qur'an was enshrined as a state doctrine, proclaimed in 827 under Caliph al-Ma'mn. The Mu'tazilites fought for the primacy of reason and actually required religious judges to swear an oath that the Qur'an had been created. Their opponents, who believed in the primacy of power and the uncreated Qur'an, were punished and imprisoned. However, after the reign of Harun al-Watiq, the tables were turned on the Mu'tazilites by Caliph Ja'afar al-Mutawakkil (847–861), who made holding the Mu'tazilite doctrine a crime punishable by death. This did not end the Mu'tazilite school of thought (some fled to the more hospitable Shia areas), nor did it prevent the flourishing of the Greek-influenced faylasufs (philosophers) who followed them, such as al-Farabi, Avicenna, and Averroes. However, the long process of dehellenization and its resulting ossification had begun. The victorious view developed a theological basis for the primacy of power by claiming that the revelation of Mohammed emphasizes most particularly one attribute of God—His omnipotence. Although all monotheistic religions hold that, in order to be one, God must be omnipotent, this argument reduced God to His omnipotence by concentrating exclusively on His unlimited power, as against His reason. God's "reasons" are unknowable by man. God is not shackled by reason; He rules as He pleases. He is pure will. There is no rational order invested in the universe upon which one can rely, only the second-to-second manifestation of God's will. The early–tenth-century thinker Abu al-Hasan al-Ashari elaborated a metaphysics for the anti-rational view by using early Greek atomistic philosophy to assert that reality is composed of atoms. The configuration of these atoms at any given moment makes things what they are. In Islam in the World, British analyst Malise Ruthven explains: "The Asharis rationalised God's omnipotence within an atomistic theory of creation, according to which the world was made up of the discrete points in space and time whose only connection was the will of God, which created them anew at every moment." For example, there is a collection of atoms that is a plant. Does the plant remain a plant because it has the nature of a plant, or because Allah wishes it to be a plant from this moment to the next? The Asharites said it is only a plant for the moment. For the plant to remain a plant depends on the will of Allah, and if you say it has to remain a plant because it has the nature of plant, this is shirk—blasphemy. To outsiders, this capricious dimension of Islam was clear as long ago as the Middle Ages when the great Jewish philosopher Maimonides (1135–1204) spoke of his experiences in Cairo to illustrate the way some Muslims think. Every morning the caliph rides through Cairo, and every morning he takes the same route. However, said Maimonides, tomorrow he could take a different route. Why? Because he is the caliph and he can do as he wills. Every morning the sun rises in the east and sets in the west. It has happened for years; it happened today. But tomorrow it might rise in the south and set in the north. That depends on the will of Allah, and there is no saying that it will not. As the Qur'an states, "Dost thou not know that God has the power to will anything?" (2:106). Maimonides concluded that "the thing which exists with certain constant and permanent forms, dimensions, and properties [in nature] only follows the direction of habit . . . . On this foundation their whole fabric is constructed." This conception of God directed man's relationship to the Almighty in a specific way. A God who has no reasons cannot be known by reason. This view can and did lead to a rich vein of mysticism, most especially in the Sufism of al-Ghazali, but it also presents a problem. How should one behave toward an unreasoning God? Ibn Taymiyya (1263–1328), a medieval Muslim thinker who profoundly influenced the founder of Wahhabism and who has been resuscitated by the Islamists today, answered: Man's task is not to know God. God is unknowable; do not even try to know God. Man's job is not to love God. Man cannot love what he does not know. Man's job is to obey. Submit. Reason plays no role, and free will is denigrated. In his attack on philosophy titled Kuzari, Judah ha-Levi, a Jewish follower of al-Ghazali, reached the logical conclusion as to how man ought to approach the revelations of such a deity: "I consider him to have attained the highest degree of perfection who is convinced of religious truths without having scrutinized them and reasoned over them." (One wonders how one becomes "convinced" of something without having thought about it.) There could hardly be a more radical rejection of what Benedict calls "the reasonableness of faith." Compare this relationship to the standard definition of a Christian vocation, which is expressed in this logical order: to know, to love, and to serve God. First, knowledge of God is required. How can one love what one does not know? Of course, it is assumed that a finite creature such as man can only comprehend a small part of an infinite God, but he can know enough to inspire love. God is knowable. If one knows God, then one loves Him because God is goodness. In turn, the impulse of that love is to serve. One is naturally drawn to serve what one loves. The expression of this vocation is internally coherent and logically ordered. It is based upon a certain view of who God is and how man is capable of freely responding to Him through the use of his reason and free will. To understand the ultimate significance of the Asharite and al-Ghazali's teaching of an unreasoning God, it may be helpful to contrast it to the Christian teaching that was similarly tempted to such extremes, but resisted them. Why, for instance, did this exclusive preoccupation with God's omnipotence not afflict Christianity, which is also monotheistic? Christianity holds that God is omnipotent and the primary cause of all things, as well. In fact, as Benedict pointed out in Regensburg, there were strong tendencies within Christianity to move in the very same direction, including in the teaching of Duns Scotus. The anti-rational view was violently manifested in the millenarian movements of the Middle Ages, and within the movement that was known as fideism—faith alone, sola scriptura. In its most radical form, this school held that the Scriptures are enough. Forget reason, Greek philosophy, and Thomas Aquinas. However, the anti-rationalist view in its more extreme forms has never predominated in Christianity, and it was considered broadly heretical. As Benedict makes clear, the reason Christianity was insulated from an obsession with God's omnipotence was the revelation of Christ as Logos in the Gospel of St. John. If Christ is Logos—if God introduces Himself as ratio—then God is not only all-powerful, He is reason. While the Mu'tazilites claimed something similar, they had no scriptural authority to confirm their position, while their opponents had many to oppose it. In addition, Christian revelation claims that everything was created through Christ as Logos. Since it was through Logos that all things were created, creation carries the imprint of its creator as reason. Nature bespeaks an intelligibility that derives from a transcendent source. Benedict recently reiterated this view when he referred to the "world as a product of creative reason." The laws of nature are not a challenge to God's authority but an expression of it. Reason and Christian revelation are compatible. Ultimately, this theological view developed into the realist metaphysics of Thomas Aquinas, which then became the foundation for modern science, as Rev. Stanley Jaki, a Hungarian theologian and physicist, has explained in his voluminous writings on the origins of modern science. He has laid out the reasons modern science was stillborn in the Muslim world after what seemed to be its real start (see his extraordinary monograph, Jesus, Islam, Science). No one offers a more profound understanding of the consequences of the view of God as pure will than Father Jaki has. The metaphysical support for natural law not only laid the foundations for modern science, but also provided the basis for the gradual development of constitutional government. The primacy of power in Islamic thought undermined a similar prospect. If one does not allow for the existence of secondary causes, one cannot develop natural law. If one cannot develop natural law, one cannot conceive of a constitutional political order in which man—through his reason—creates laws to govern himself and behave freely. Because democracies base their political order on reason and free will, and leave in play questions that Islamists believe have been definitively settled by revelation, Islamists regard democracies as their natural and fatal enemies. The curious thing is that it does not matter whether one's view of reality as pure will has its origin in a deformed theology or a totally secular ideology, such as Hegel's or Hobbes's: The political consequences are the same. As Rev. James V. Schall has shown, the notion of pure will as the basis of reality results in tyrannical rule. Disordered will, unfettered by right reason, is the political problem. It is not that the side of reason is not still there—there are some extraordinarily intelligent Muslim scholars who would like to see a neo-Mu'tazilite movement within Islam, a restoration of the primacy of reason so that they can re-open the doors to interpretation and develop some kind of natural-law foundation for humane, political, constitutional rule. According to Iranian thinker Abdolkarim Soroush, "Some of the understandings that exist in our society today of the Imams . . . or even of the concept of God are not particularly compatible with an accountable state and do not allow society to grow and develop in the modern-day sense." Reformist Tunisian-born thinker Latif Lakhdar calls for a revival of "Mu'tazila and philosophical thought that subjected the holy writings on which the religion is based to interpretation by the human mind." There are Muslims who will say these things, but many of them, like Soroush and Lakhdar, are in the West for their own protection. Is there a constituency within the Muslim world that can elaborate a theology that allows for the restoration of reason, a rehellenization of Islam with Allah as ratio? It is idle to pretend that it would take less than a sea change for this to happen. If it does not, it is hard to envisage upon what basis the dialogue with Islam could take place. There are many Muslims (in Turkey and in the developing democracies of Indonesia and Malaysia, to say nothing of the democratic life followed by the huge Muslim population in India) who want to enter the modern world—with its modern science and modern political institutions—and also keep their faith. Unfortunately, the ideas gaining traction today are not theirs. That is the crisis, which is now spilling over into the West. In order to meet it, Benedict is telling us we have urgent reason to regain our own faith and to raise these all-important questions with them. Robert R. Reilly was a special assistant to President Ronald Reagan and served as his liaison to the Catholic Church. Fatalism, denial of freewill and mental stagnation. "...It is my contention that where there is conflict between the will of man and the will of Allah, the will of Allah always triumphs in Islamic philosophy because the power of Allah is thought of as absolute: he does not curtail or restrain his power in any way. In other words, Allah does not respect the free will of man, in fact, human free will is illusory at best. By this logic, all three thousand people who lost their lives on September 11, 2001 as a result of jihad action would have died at that hour regardless. And furthermore, because Allah did not intervene, it was Allah’s will that it happened. The jihadis who perpetrated this act, were only puppets on a stage, obeying the will of Allah according to a pre-written script. They did not cause all those deaths and all that destruction; rather, according to Islamic logic, Allah caused it as punishment for our sins, the sins of America as a collective entity. This further reduces to: everything that occurs in the reality of the material world we live in is a direct result of Allah’s will. Human will is but an instrument of the will of Allah and therefore does not have an independent existence in the overall trend of Islamic thought. Even though the concept of “testing” is present, Allah’s will is never subservient to human will. I contend this is the equivalent to asserting not that everything is God’s will, but rather that nothing is God’s will, or even that there is no God, because there is no distinction between what is and what is not God’s will in the reality of the material world: the good and the evil deeds of man are both equally and ultimately the result of the will of God. In this view, as the Pope pointed out, God’s purpose is so transcendent as to be unknowable, which is to say, God is unknowable to the individual. And again there is no practical difference between that and the assertion that God does not exist, for His will, and therefore God himself, according to Islam, cannot be known. This is equivalent to saying that the difference between good and evil cannot be known, and this is so regardless of the existence of a list of accepted and prohibited actions put forth as “God’s will” by Islam on the basis of Muhammad’s example as the ultimate arbiter between truth and error. Goodness and Truth do not have an independent existence in Islam; they are entirely dependent on the Islamic creed. Furthermore, according to Winston Churchill, the Muslim belief in predestination engenders a “fearful, fatalistic apathy” which “paralyses the social development of those who follow it,” for Allah’s will is fixed in a one-size-fits-all pattern and is not unique to the individual believer. The individual’s relationship to Allah is bound completely by the believer’s obedience to Islam. Therefore, believers in Islam are actually barred from the greatest adventure known to man, that of finding God (goodness, truth and beauty) as an individual experiential reality. This is so because Allah’s will is so transcendent as to be incomprehensible. Thus the “testing” of the believer is reduced to a test of conformity to the creed rather than a testing of the ability to discover what is right and true uniquely for himself. This is equivalent to Allah is Dead. The most heinous acts, collective and individual, can be rationalized as “Allah’s will” and this of course is a prescription for social chaos. The violence and attitudes that the canonical texts of Islam naturally give rise to are repeatedly demonstrated wherever Islam is suddenly unconstrained, as with the removal of Saddam Hussein’s regime, or the pseudo-nationalism of the PLO and its many security forces, as is clearly observed in Iraq and Gaza today. Then consider Condoleeza Rice’s wishful and bizarre comparison between the “Palestinians” and America’s Founding Fathers. According to Richard Weaver the endowing of cultural forms with the idea of immanence historically gives rise to social cruelty. It is the deification of a cultural system, such as the deification of the Church during the years of the Inquisition, or the deification of a political system such as communism, that creates conditions in which human sacrifice, often on a massive scale, becomes justified. In this view, the cultural structure essentially replaces the concept of a living God (dealing directly with autonomous human beings) and thus human freedom, happiness and ultimately lives are sacrificed to the cultural form in proportion to the fanaticism engendered by the belief in it..."
"...Another bedrock problem lies in the failure of Islam to recognize God as a self-limited or self-limiting being, at least in so far as He acts within the material world of time and space (both obviously limiting factors separating the finite from the infinite). The existence of natural law is further evidence of this. Christianity recognizes a God who is not whimsical, who has set his laws in motion and does not violate them. Thus, these laws may be discovered by His reasoning creature and therefore science, and all that flows from science, becomes possible because it is conceivable. Another limitation of God is the divine respect evidently given to human free will. Indeed, in the western world at least, if someone claims to be coerced by God, (“God made me do it”) we consider that person to be of doubtful sanity. However, according to Islamic thought, Allah is not limited by natural law, or by reason, or even by goodness and truth...."
".... Allah demands unquestioning obedience and total sacrifice, including the sacrifice of the ability to know good from evil as an individual, private matter, for the will of Allah is not a personal experience. The Islamic system has totally usurped the place of the living God for the believer: worship and obedience are one..."
"... But when religious forms, in their arrogance, become a substitute for God, then the potential for evil and the cruelty of cultural coercion rapidly ensue. In order for cultural progress to occur, man must be free to distinguish the greater from the lesser. For example, which is the greater evil: adultery itself, or the stoning as punishment? Jews and Christians answered long ago: the stoning is the greater evil. Muslims, on the contrary, and despite their modern protestations that “this is not the true Islam,” are forever barred from making such a judgment, because the will of Allah is absolutely transcendent and unreachable through the mind. Therefore, what western reason would deem psychopathological murder/suicide, Islam calls the “martyrdom of the sainted” without guile. The reason of Islam exists entirely within the bounds of Islam. A bridge of reason simply does not exist between our two worlds, as it does not exist between the individual Muslim and the will of Allah. And reason cannot compromise with unreason without destroying the basis for its existence. By the same token, unreason cannot become reasonable without destroying itself as well. There is simply no way the hoped-for “reform” of Islam by way of reason would not end in Islam’s ultimate destruction, but this is not an outcome to be feared. It should be welcomed." So what are the implications for Buddhism? Islam, and to a much lesser extent the Creationists of the Bible belt, are classic examples of how not to handle the dialog between science and religion. When religion attempts to take on science and reason, religion becomes discredited and has to retreat into obscurantism, and in the case of Islam into thuggery, intimidation and outright terrorism. It is worthwhile examining the similarities and differences between Buddhism and science, and how these can be handled more skillfully than by the anti-rational faith-based dogmatic religions. See Rational Buddhism. More Islamic Irrationalism You really couldn't make it up! The earth doesn't revolve around the sun. Seventeen verses to prove it. Monotheism is demonic, egotistical and out of date. It belongs in the rescycling bin. The theorising in this post is truly offensive. Very disappointing after discovering you're the author of the rational buddhism blog. To postulate that 'Muslims' are essentially stupid because of rampant inbreeding is breathtakingly ignorant and racist, and I'm frankly shocked that it came from the author of Rational Buddhism. The section on 'Nobel Prize Winners and Patents' left me completely stunned: "Both are outposts of western civilisation threatened with extermination by more numerous primitive adversaries, and relying on superior brainpower and technology to stay in existence." Astounding. Comparing the number of western patents issued in Israel vs Iran as a useful metric? That just shows a willful naivete of history, society and politics driven by ideology. The oppression and abuse applied to its neighbours (driven by an extreme religious fundamentalism no less!) and backed by superior military force is a million miles from your staggeringly rose-tinted view of Israel. Your narrative is breathtakingly biased, racist, and of a type that could not be conceived by a mind anywhere near enlightenment. I was interested in your blogs on quantum physics and mind on the Rational Buddhism blog, until I encountered this absurd rant, and others by you on the subject of Islam. Im afraid you've lost all credibility here. You of all people should understand the role perception and subjective experience plays in anyone's understanding of religion -- one's own or others' -- and anything else, for that matter. How Muslims think of and interpret their own religion is clearly not your area of expertise. There is just as great a variety there, I'm sure, as in any other religion that has been around for over a millennium. Sad that you jump to such sweeping conclusions with so little thought or reference to the way you yourself interpret Buddhism. Especially when you are capable of the kind of analytical thinking shown on the physics blog. As a Buddhist, you must understand how deeply our hidden prejudices, anger, and intransigent concepts color our perceptions. Yours as well as any Muslim's. Clearly you have never known any mainstream Muslim people, as you do not seem to understand just how offensive and inaccurate your genetic 'analysis' of their intelligence and emotional stability is. The arguments you make could just as easily apply to any isolated groups of people anywhere on the globe, from any culture or religion. Somehow, though, humanity manages to produce positive as well as negative traits in all of us, wherever we come from. It's up to us as Buddhists to work on our own negativity and faults in perception rather than blowing the perceived defects of others so completely out of proportion. As a regular reader of Jihadwatch, Atlas Shrugs and Jihad on Buddhists, I've come to the conclusion that Islam is the Nazism of our age. If Hitler had made Nazism into a religion rather than a political movement, he would probably have got away with it. This isn't to say that all Muslims are terrorists, no more than all Nazis were gas-chamber operators. Most Nazis were honest regular folks who just did what they were told. The former Pope was a nominal Nazi. However, in a totalitarian system it's not the rank and file who determine and enforce policy, it the fanatics - Gauleiters and Storm-troopers. And the policy is dictated by the Holy Book: in the case of Nazism 'Mein Kampf' and Islam 'The Koran'. Winston Churchill read Mein Kampf and tried to warn everybody what was coming, but he was accused of Naziphobia. If democratic governments had listened to him, millions of lives could have been saved. Similarly with Pam Geller and Robert Spencer. They've read the Koran and know what's coming, but they are accused of Islamophobia. I would also add that Western Buddhists have unreasonably idealistic expectations of the tolerance that should be afforded to aggressors. Traditional Buddhists, both Mahayana and Theravada, tend to be more proactive. The Dalai Lama says its OK to kill terrorists, provided it's done compassionately, and the Buddhist philosophical and cultural organization Bodu Bala Sena are making vigorous and determined efforts to stop creeping sharia and stealth jihad in Ceylon. Indeed this is an absurd fanatic rant. Your ignorance of Islam is no less than you ignorance of true Buddhism. Was it the Muslim Algeria that killed 1 million Christian Frenchs? Did Muslims bombard Hiroshima or use agent orange against Buddhists? Did Muslims start two world wars killing tens of millions? Your short sighted hatred does not speak of a spiritual human being.